Most people think of the color green when they think of 4-H, but on Friday April 12, 2019, 4-H youth and volunteers in Florida will Purple Up! to show support for our military kids and families. Join us in showing support and celebrate our young heroes! Participation in the 10th annual Purple Up! day is easy – wearing purple and take photos to share on social media using #fl4h and #purpleup. Military youth have unique challenges. Imagine how you would feel about having long and repeated separations from your parent. Imagine your mom or dad missing important events like birthdays, holidays, and school events. 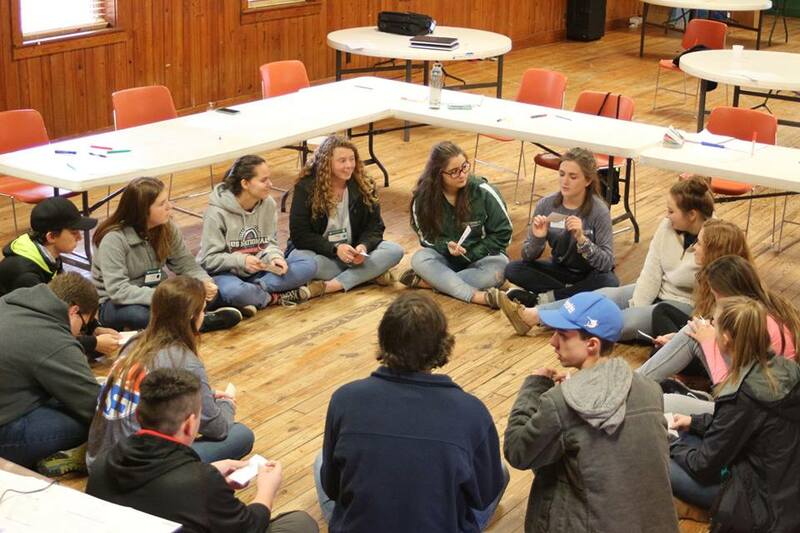 How would you feel about frequent relocation or moves, having to make new friends, get familiar with new schools, and find new 4-H clubs and teams to join? These are all common experiences for military youth! Many military children take these changes in stride, but it’s also hard to rebuilding a world every time they move. UF/IFAS Extension and 4-H are proud to be a part of the military family – 4-H works with military youth centers across the nation and overseas to create some consistency for youth in these situations. Purple symbolizes all branches of the military and is the combination of Army green, Coast Guard blue, Air Force blue, Marine red and Navy blue. 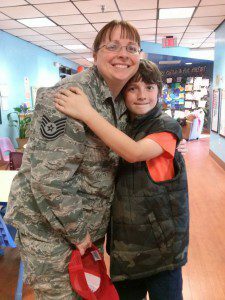 By wearing purple and sharing in a visible way, you can show support and thank military children for their strength and sacrifices. Florida has the fifth highest number of school-age military children in the country according to the Department of Defense Manpower Data Center. We also have over 50,000 active and reserve military members whose families worry that they are in harm’s way when they deploy. Be creative….the goal is for military youth to see the support in their school, youth groups, and the community! If you don’t have or own a purple shirt, wear a purple ribbon, tie or headband. Just show your support and let our youth know we care about them! Can’t make the Purple Up! date? Then do something another day in April, the Month of the Military Child! Remember, take pictures of your group wearing purple and share them on social media using #fl4h and #purpleup. For more information on Purple Up!, contact Dr. Paula M. Davis at UF/IFAS Extension Bay County at 850-784-6105. For more information on 4-H in your county, follow us on Facebook, and contact your local UF/IFAS Extension office. 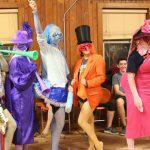 Sali and Gregor received a brief orientation to 4-H and life in the United States soon after their arrival. 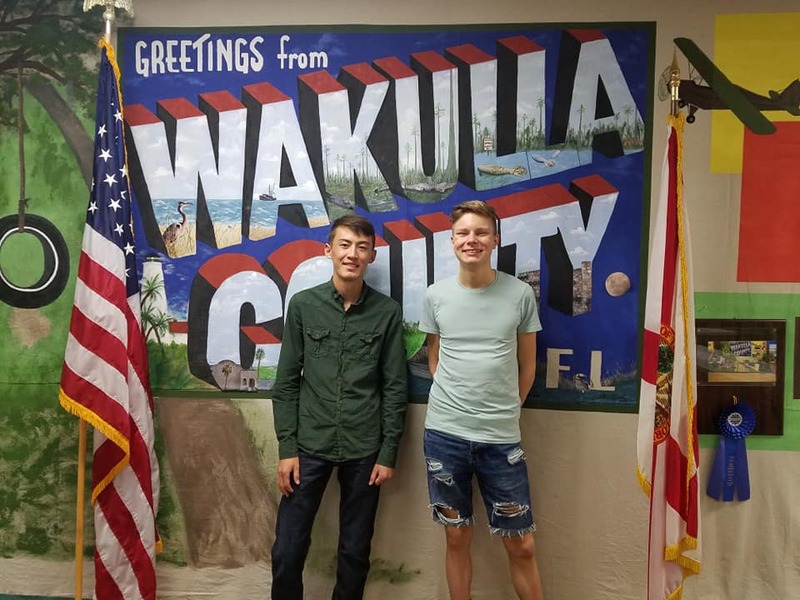 Wakulla 4-H welcomed two international students via the Future Leaders Exchange Program at the beginning of September. 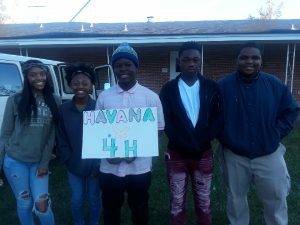 The students, who are living with volunteer host families this school year, have become active 4-H members during their stay. Sali Polotov is from Tajikistan and is interested in studying geological science. Gregor Johanson is from Estonia and is interested in the performing arts. Both students attend 11th grade at Wakulla High School. 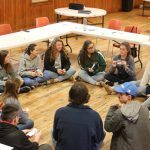 Since their arrival, they have been part of the 4-H District III Council and attended Leadership Adventure Week where Gregor led a workshop on trust and communication. Sali shared that he was motivated to come to the United States because he wanted to see the reality versus what was depicted in movies he had seen in Tajikistan. While Sali said that he knew nothing about 4-H before coming to Florida, he has enjoyed the opportunities to participate in 4-H clubs, special events and volunteer work. 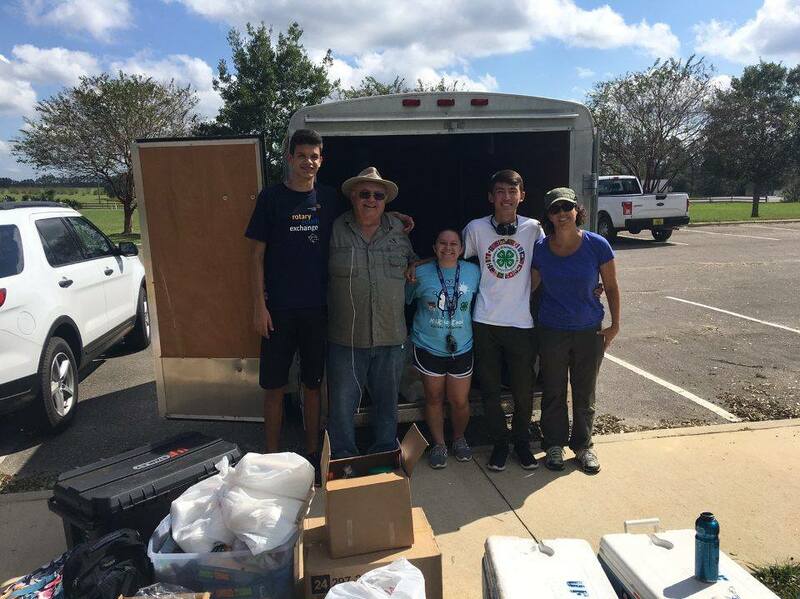 Sali Polotov joined other Wakulla 4-H members to deliver relief supplies to the NFREC office after Hurricane Michael. One thing that surprised Sali about American life was how “American people love holidays. They do all of their best to spend an unforgettable moment.” Sali shared he has especially enjoyed his experiences volunteering in the aftermath of Hurricane Michael, snorkeling with manatees and celebrating Christmas with his host family. Both young men are looking forward to an upcoming trip to Disney World and having more adventures with 4-H before their year in the United States concludes. Since 1993, the FLEX Program has provided scholarships for high school students from Europe and Eurasia to spend an academic year in the United States while living with a family and attending an American high school. 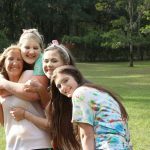 Florida 4-H partners with the FLEX program through the States’ 4-H International Exchange Programs. 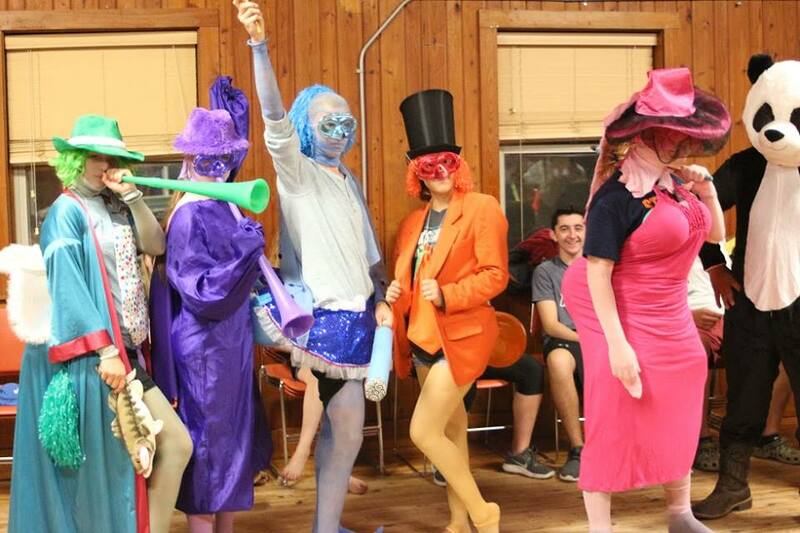 Students have opportunities to engage in both short-term summer programs and academic year exchange experiences. Nearly 60,000 youth and families have been positively impacted by international exchange through States’ 4-H programs since 1997. The FLEX program is a competitive, merit-based scholarship program funded by the U.S. Department of State. Students gain leadership skills, learn about American society and values, and teach Americans about FLEX countries and cultures. The primary goal of the FLEX program is to improve mutual understanding and develop and strengthen long-term relationships between citizens of the United States and other peoples and countries. There are currently 17 countries that participate in the FLEX program: Armenia, Azerbaijan, Estonia, Georgia, Kazakhstan, Kyrgyzstan, Latvia, Lithuania, Moldova, Mongolia, Montenegro, Poland, Romania, Serbia, Tajikistan, Turkmenistan and Ukraine. 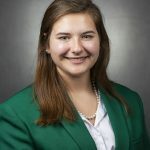 Not all 4-H AYP students come to Florida through the FLEX program and students may come from other partner countries. Families can become qualified to host an international student for the 10 month Academic Year Program by applying at https://states4hexchange.org. For more information, contact Georgene Bender, Florida 4-H AYP Coordinator, UF/IFAS Extension Faculty Emeritus – gmbender@ufl.edu. For more information about this program or other 4-H programs in your county, contact your local UF/IFAS Extension Office. 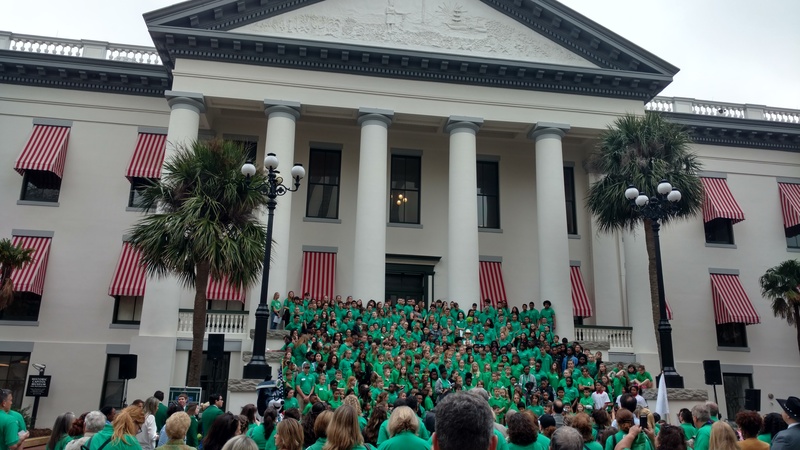 Last year, 520 youth and 170 adults from 34 Florida counties told the 4-H story filling the state capitol with 4-H advocates. 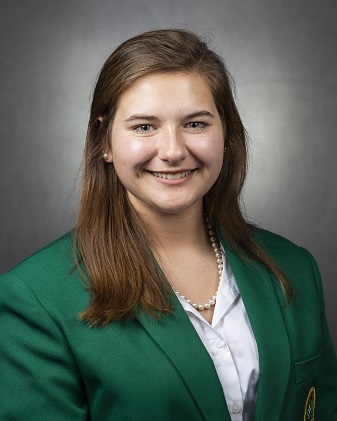 Youth educated their representatives, senators, and legislative aides on how 4-H has made an impact in their lives while experiencing the political processes of state government. 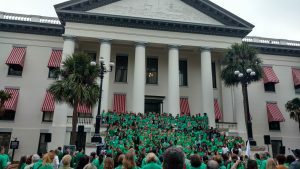 A sea of green will flood the Florida’s state capitol Thursday, April 4, 2019, as Florida 4-H members, faculty, volunteers, and families participate in the annual 4-H Day at the Capitol event. 2018 attendees on the steps of Florida’s historic capitol building. Each county is encouraged to make appointments with senators and representatives and should schedule their day how it best suits the group. 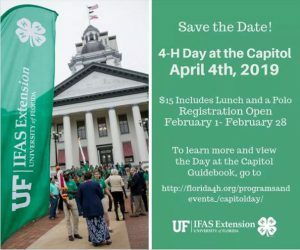 For detailed information on the schedule and to prepare for the event, be sure to read the The 4-H Day at the Capitol Guidebook. Close to the Capitol, you’ll find several things to do to fill in the rest of your day. 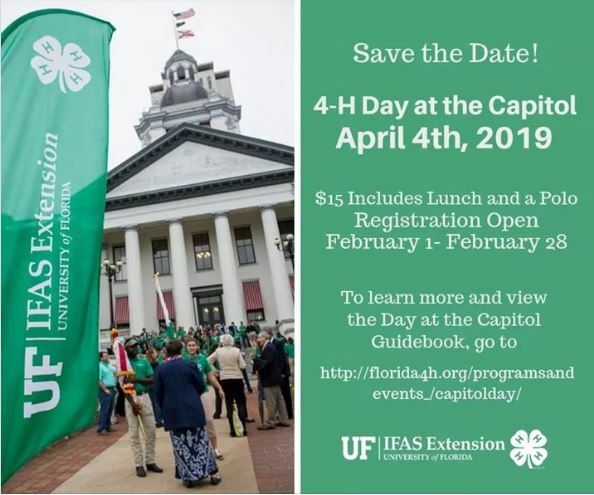 For more information on 4-H Day at the Capitol or 4-H in your county, contact your local UF/IFAS County Extension Office. give less stuff and give more self. We’ve just wrapped up December – a month of massive giving. We gave gifts, we made charitable monetary donations, and we’ve overdone “bake-and-take” as I call it. It takes a lot of expendable income to give so many things, but you can choose to manage your resources wisely throughout the year and give through acts of service instead. I particularly love this idea with small children who may want to buy gifts for loved ones but who aren’t old enough to earn money yet, but it works great for kids of all ages. Rather than doing coupon books for hugs and kisses (cute and welcome as those may be), I help them arrange to spend part of a day with a loved one instead. They help with household chores, do some baking or cooking with them, tackle a difficult chore and so on. 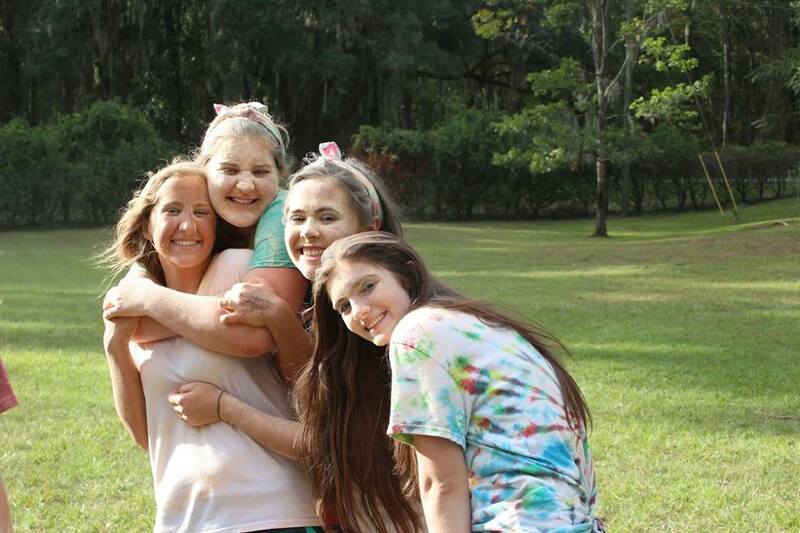 Not only are they helping with age appropriate tasks, but they’re getting to spend time together and make memories. Encourage youth in your life to look around during the year and see who needs help and what they can do to help. Instead of giving more stuff, give more self. 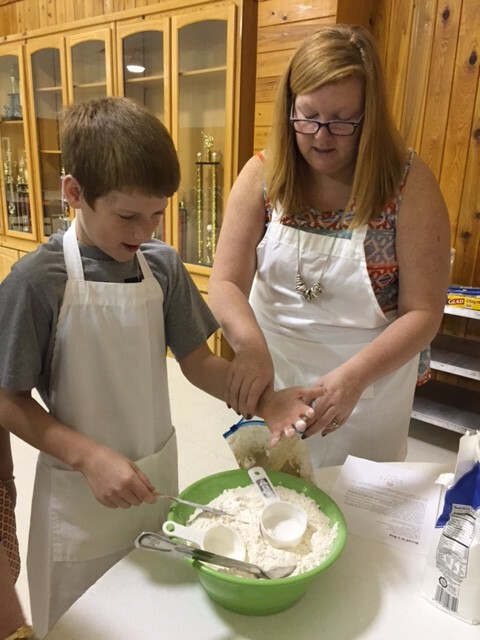 4-H teaches youth life skills such as planning/organizing, wise use of resources, social skills, and character. By encouraging 4-H youth to serve in any large or small way they can, we help them build these and other crucial life skills. Find your local UF/IFAS Extension office to explore how 4-H teaches youth valuable life skills through its project areas..